Former clerk for Laurence H. Silberman at the Court of Appeals, and later for U.S. Supreme Court Justice Clarence Thomas 1994-95. Served as Deputy Assistant Attorney General for the Office of Legal Counsel at the DOJ 2001-03, where he wrote substantial parts of the PATRIOT act with Viet Dinh, and co-authored a report that spat on the Geneva Conventions. The forty-two page memo in question, which he authored in January 2002, stipulated that since Afghanistan has no formal government to speak of, neither the Geneva Convention nor any other laws of war apply. This breaks a fifty-year U.S. military tradition of upholding those rules, rules that the U.S. adopted because the same rules protect captured American soldiers. When the U.S. state department read Yoo's memo, they were "horrified"; their chief legal advisor calling it "seriously flawed." But George W. Bush approved the policies in the memo, ultimately resulting in the Abu Ghraib fiasco and similar atrocities being committed in other Iraqi prisons as well as those in Afghanistan. 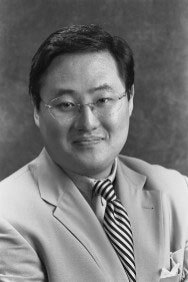 According to a 2010 report from the Justice Department's Office of Professional Responsibility, investigators asked Yoo whether he maintained that the President's authority is broad enough that he could hypothetically "order a village of civilians to be exterminated", to which Yoo responded, "Sure." Among his other zingers are quotes like "There is no constitutional right to privacy of records not in your possession" (said at a University of Virginia conference) and another on the PATRIOT Act, "It seems to me a very modest bill. There is no revolutionary change." Other related memos discuss how to avoid prosecution of War Crimes that are expected to be committed by Americans following these policies, though it is not clear whether Yoo had a hand in authoring those. Yoo occasionally appears on news programs such as Lehrer News Hour as a talking head (at least one time with Scott Horton as foil), largely defending Bush administration policies. With all these wonderful ideas coming out of his head Yoo still feels he has enough credibility to author a book on Constitutional law. He remains a tenured law professor at the University of California at Berkeley. Interview with the Angel Symoon Brewer, Cal Patriot, February 2004: "I've always been a registered Republican, since I could vote."